3-year-old Piyush has been diagnosed with Thalassemia. He becomes severely anemic and needs blood transfusions every month to keep up his hemoglobin levels. 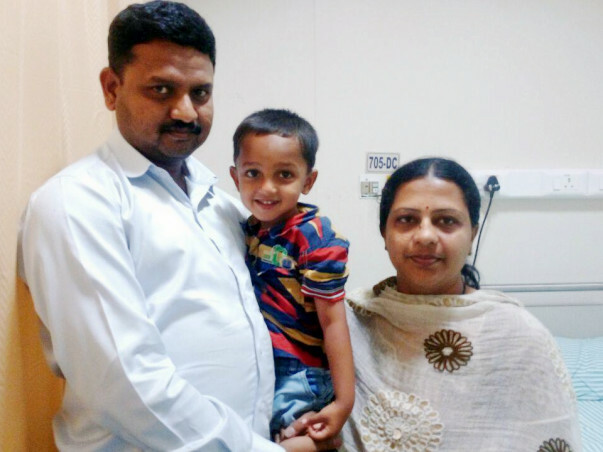 Ever since he was 6 months old, Chandrappa and Pratibha, have been shuttling their son to Bangalore from Haveri for these transfusions that are keeping their son alive. 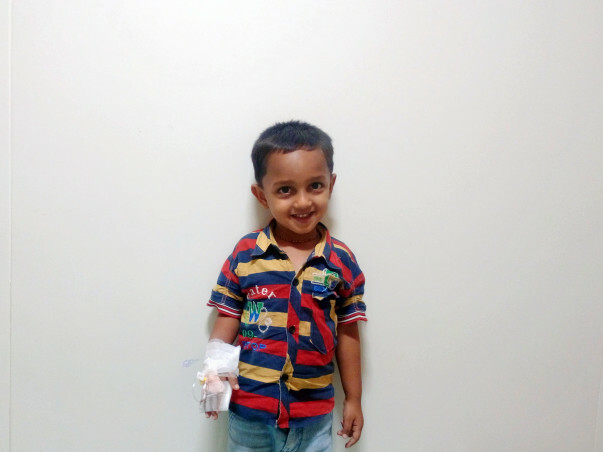 As he grows, Piyush needs a permanent solution for this terrible disease. 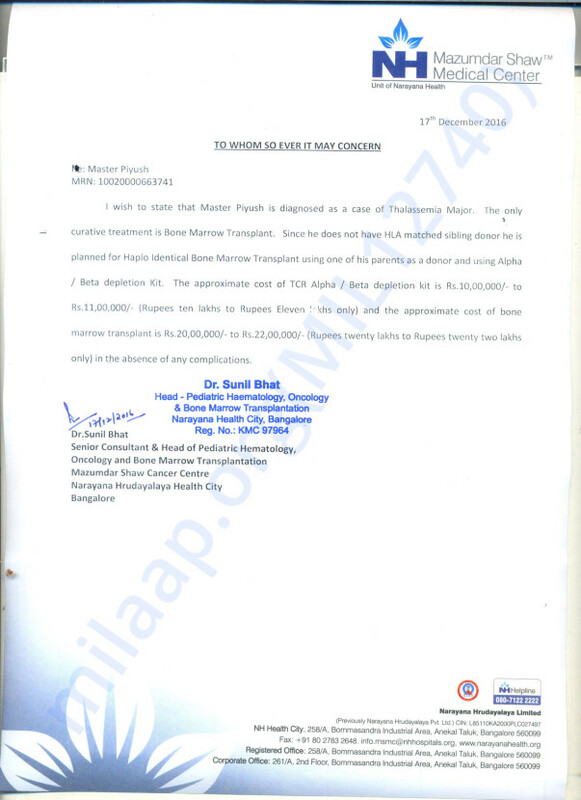 "We have opted for a bone marrow transplant. He is our only son, so one of us will be the donor. It will cost us about Rs. 33 Lakhs. Even if we pool in everything we have saved all these years, we will not be able to arrange that kind of money." Thalassemia takes several lives every year, and many children who live on transfusions lose their lives more to the side effects than to the disease itself. 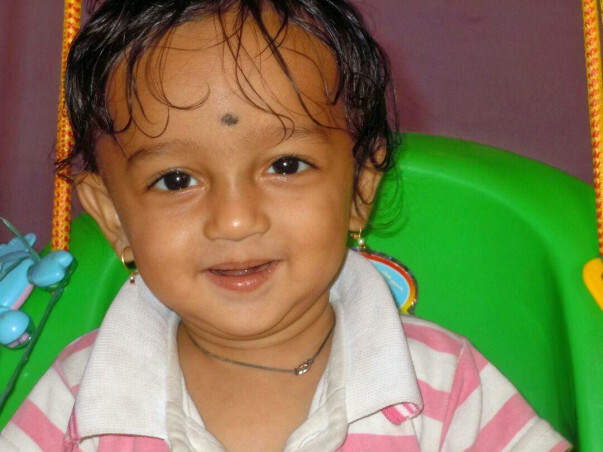 Piyush can have a chance to fight the disease and live his life healthy and worry-free with your help. Contribute now to save this little boy. Dear Piyush, Our prayers are there for the speedy recovery. Get Well soon Piyush. God Bless you.